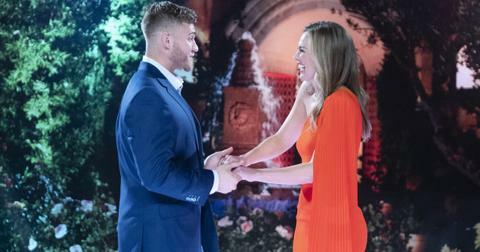 Filming officially began for Season 15 of The Bachelorette on March 15, and leading lady Hannah Brown is busy trying to find "the one" after her failed attempt at love with former NFL star Colton Underwood. The pageant queen turned reality star has been spotted on several dates, and according to Bachelorette spoiler sleuth Reality Steve, there is already a front runner. Who got Hannah B. 's first impression rose? It looks like 24-year-old Luke Parker is the one to beat. The former baseball player played for the University of Alabama — which just happens to be Hannah's home state — and Luke looks like Hannah's type. And by type, we mean exactly like Colton Underwood. 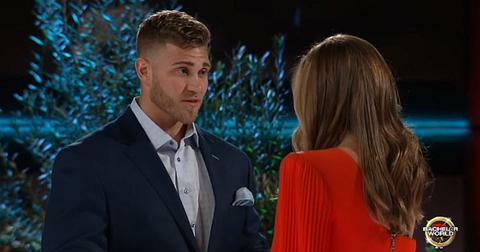 Currently residing in Georgia, Luke should look familiar to Bachelor Nation fans — he was one of the five guys introduced to Hannah B. during the After the Final Rose special last month. 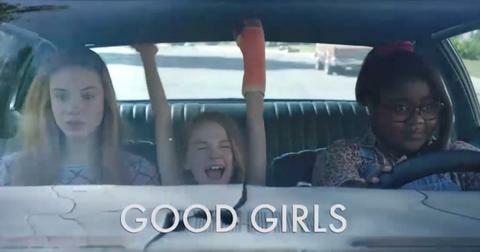 "This could mean something. Or not," Reality Steve tweeted. "However, last four guys who received the first impression rose on the Bachelorette went on to get the final rose. Hannah B. gave her first impression rose to Luke Parker. 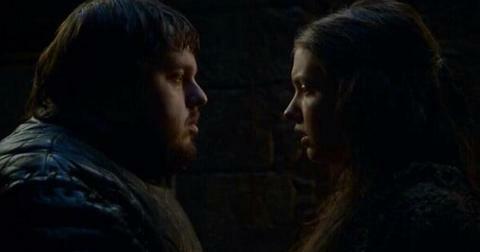 He was the first of the five guys she met on the ATFR." 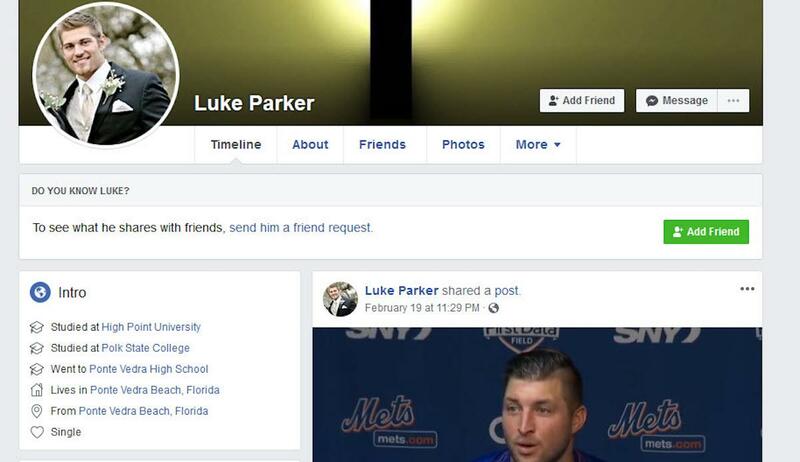 What else do we know about Luke Parker? Unfortunately, his Instagram page is currently set to private, but die-hard fans have done some digging and spilled some secrets about the cutie. According to one fan who claims to know Luke, he"is extremely good looking, but also knows that." "Anyway, he went to Ponte Vedra high school and played baseball there. He was the year above me and is extremely good looking, but also knows that and is VERY full of himself," the fan wrote on reddit. "I can see him going far this season. 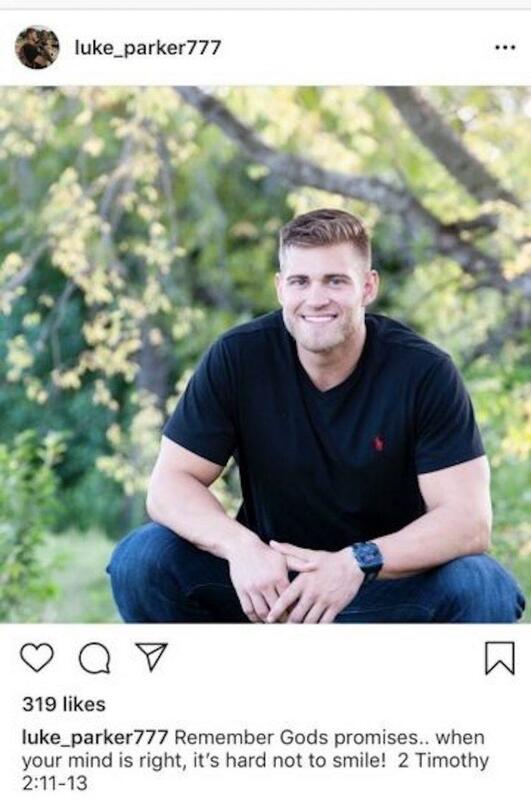 He’s very good looking, knows how to be charming, played baseball in college (so into sports), and is extremely religious... Oh also he has a sister-in-law named Hannah, so I saw they were all joking that if he married her there would be two Hannah P’s in the family!" Hannah B. 's frenemy Caelynn Miller-Keyes is predicting Luke will win. Hannah B. and Caelynn Miller-Keyes did not have the best relationship on Season 23 of The Bachelor, but Caelynn is already predicting Luke will get Hannah's final rose. "I read an article online that said that he’s a Christian, and Hannah’s faith’s important to her — she’s a strong Christian," she told Us Weekly. 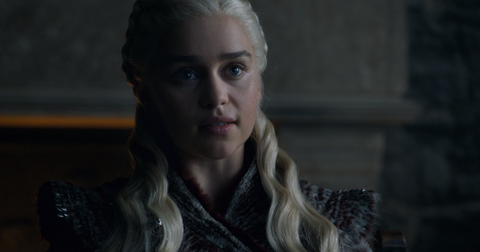 "They’re both from the South, I see that happening." When Luke first met Hannah, he told the brunette beauty, "You are absolutely stunning. You are the only one that I wanted to be the next Bachelorette. And now that I’m here actually holding your hands, in real life, seriously this is just blowing my mind and I seriously cannot wait to get to know you on a deeper level and just go on this adventure with you." As Reality Steve mentioned earlier, there is a (good) curse surrounding the First Impression Rose on The Bachelorette. The last four Bachelorettes have all ended up with the contestant who received the first impression rose on their season. Kicking things off was Kaitlyn Bristowe, who was instantly smitten with Shawn Booth. Unfortunately, the couple called it quits in 2018. Then there was JoJo Fletcher who gave Jordan Rodgers her first impression rose followed by Rachel Lindsay, who picked Bryan Abasolo. Both couples are still going strong in 2019. Lastly, there is Becca Kufrin, who despite getting dumped by Arie Luyendyk Jr. following their engagement has seemingly found the one with her FIR pick Garrett Yrigoyen. Only time will tell if Hannah B. and Luke will follow (or break) The Bachelorette tradition.